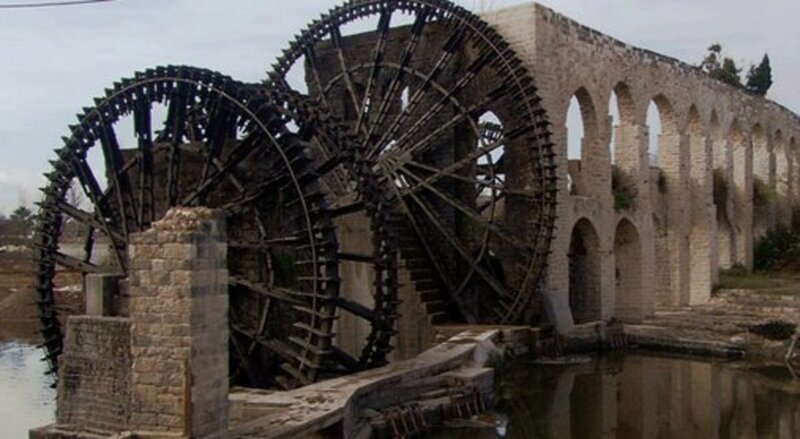 The world contains many mysteries that make many scratch their heads in wonderment as to how it was done in a more primitive era as some of these ancient technological wonders can’t be duplicated even today and others that are considered to be way ahead of their time. Hints of their origins are also found in sacred writings and carry over technological items into acknowledged ancient cultures like the Greeks and their use of hydraulics and steam or the ancient Egyptian dynasties and their magnificent pyramids. But it does not end here. Recently, a bronze clockwork was dredged up from the depth of the Mediterranean Sea that turns out to have been a working mechanical clockwork orrey with all the known planets of the time. It shows no signs of being a work in process, but an object that has been perfected and even mass produced; yet is the only example we have of an object like this described in the literature of the time. As we advance in our understanding, we uncover some of the mysteries, but there are far more that remain unsolved. As an example, we have solved the mystery of the statues of Easter Island, which are massive and heavy. Perhaps some of what we learned from there applies to more ancient mysteries elsewhere. There are items such as a non-rusting iron pillar in India that long predates modern culture and Indian civilization itself that is one of the oldest continuous cultures on Earth. Not only that, the Vedas and Egyptian hieroglyphs contains descriptions of devices that can be construed as planes, jets, helicopters, rockets and nuclear weapons. This is somewhat vindicated in the plethora of ancient small fetishes that look like contemporary jets. The thirteen crystal skulls that are carved out of single large crystal chunks of silicon dioxide, otherwise known as, quartz are a challenge to the imagination considering that this is one of the hardest substances around. They are all perfect in craving and smoothness and ancient, coming from a time when it is thought that people were no more advanced than being able to manufacture Clovis points. The region once known as Persia, unearthed an item now called the Bhagdad battery and it dates from a time when it is thought that no one knew anything about electrical energy beyond lightning in thunderstorms. 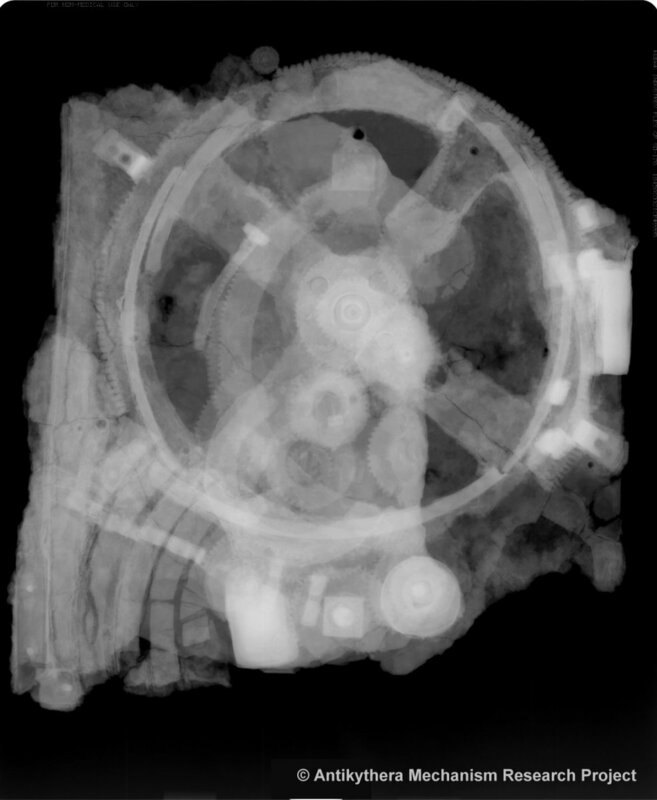 There are fossilized remains of what looks like a battery, parts of alaser and other electrical equipment in places where they should not exist at all. The Nazca Lines of Peru were a mystery until a German archeoastronomer solved the mystery; that is except the date of manufacture, which is apparently ancient due to the natural reduction of iron oxide in this dry and hot mountainous region. There exists an iron pillar in India that does not rust like all other iron and steel made now with the exception of stainless steel. For the longest time, the mystery perplexed scientists who wondered how such an item could exist from a more primitive past. The pillar is thought to be at least 1,600 years old, possibly older. Recently, experts at the Indian Institute of Technology have solved the mystery behind the iron pillar in Delhi, which has never corroded despite the capital city’s copious amounts of Monsoon derived rain. 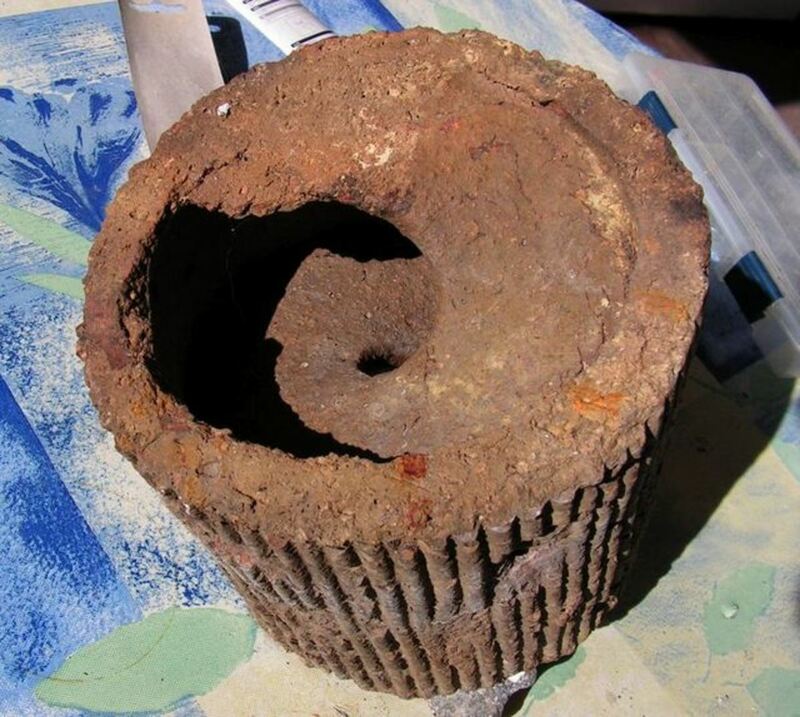 Metallurgists at Kanpur Indian Institute of Technology have discovered a thin layer of misawite over the entire surface, a compound of iron, oxygen, phosphorus and hydrogen, which has kept the cast iron pillar from rusting through as does contemporary iron. According to the scientists, the protective film developed within three years after the erecting of the pillar and has been accumulating ever since. After 1,600 years, the film has grown to about two hundred microns thick, according to the Indian Institute of Technology. The protective film was formed catalytically by the presence of high amounts of phosphorus in the iron, which doffers from modern iron containing little phosphorus. The combination of iron, phosphorus, hydrogen and oxygen on the surface protected the iron underneath when the misawite formed (3). We could use this technology today and duplicate it to create long lasting iron parts that do not corrode. This would be a very environmentally sound approach. It may not have been the intent of the makers of the pillar, but we could intentionally do it now based on the reversed engineering from the Kanpur Indian Institute of Technology. In ancient Persia there existed a pottery vessel containing tar, an anode and cathode; basic parts for a simple battery. This curious artifact suggests that someone knew about electricity and having such a device suggests that they used it as well. No corresponding electrical devices have been found, which poses questions as to what it was used for. Some suggested that it was used for gold plating other metallic objects. This little fist sized jar in Baghdad suggests that Volta didn’t invent the battery at all, but merely rediscovered the process. It was found, with several others similar jars, at a place called Khujut Rabu, just outside Baghdad. They are believed to be about 2,000 years old, consisting of an earthenware jar, an asphalt stopper, an iron rod surrounded by a copper cylinder inside the jar. It needs only to be filled with an acidic or alkaline solution to produce electricity. The impressive remains of Machu Picchu stand high in the Andes Mountains, giving it a great view of the surrounding mountains and of the cosmos by night and day. Although much of it is in ruins, its location and orientation suggests that it was used as an observatory by the ancients. It is built with huge, tightly interlocking stones that are so large and heavy; we can’t even move them today with our present technology. Perched on a mountain top, it is difficult to reach due to the steep climb and the city’s extreme height. It is in an ideal location to watch the heavens. But we have one thing in common with Machu Picchu insofar as we also place our best observatories atop of mountains. Machu Picchu is so situated that it sights to natural mountain peaks where the sun can be sighted rising or setting during the equinoxes and solstices. Locating Machu Picchu at this precise spot took incredible observational skills and patience on the part of someone and then to manipulate huge stones so precisely that observations could be accurately plotted ever after is astonishing. Machu Picchu literally takes one’s breath away in more ways than one. As well as marking the four celestial times of the season, Machu Picchu boasts a pillar where the sun casts no shadow at the spring and fall equinox. On either side of the equinoctial times, the sun moves north or south due to Machu Picchu’s location (6). Stonehenge is a megalithic monument on the Salisbury Plain in Southern England, composed mainly of thirty upright stones called sarsens. Each stone is over ten feet tall and weigh up to 26 tons and are arranged in a circle, with thirty, six ton lintels perched horizontally atop the sarsens in a continuous circle. There are gaps in the lintels as some have fallen off. 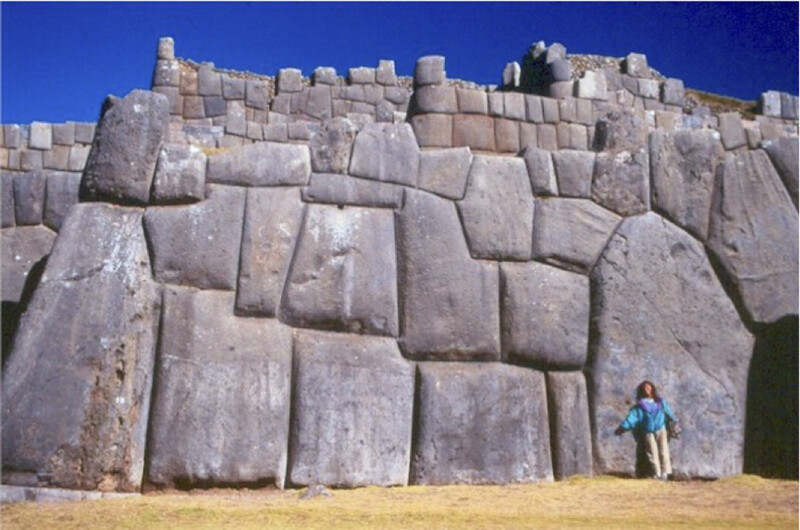 There is also an inner circle composed of similar stones, also constructed in post and lintel fashion. In the 1940s and 1950s, Richard John Copland Atkinson proposed that construction occurred in five distinct phases, which he labeled Stonehenge I, II, IIIa, IIIb, and IIIc. This sequence has recently been revised in Archaeological Report (9). Constructed without the use of draft animals and shaped by stone tools, Stonehenge was erected many miles from the quarry from which the stones came. It has recently been discovered that the stones were floated by boat, suggesting that some of the stones came from further away as one was found sunken in a shallow natural harbor with wood under it. From there they were moved overland by means unknown. It is an amazing feat of engineering, and many stories, both old ones and more recent, frequently name Merlin the magician as this engineer. This is due largely to Giraldus Cambrensis, a historian of the 12th century, who wrote a book titled “The History and Topography of Ireland”. Giraldus Cambrensis called Stonehenge “The Giant’s Dance,” because he had heard stories that giants brought the stones from Africa to Ireland, and built the monument by some accounts near the castle of O’Meara. Later, Giraldus Cambrensis said, Aurelius Ambrosius, king of the Britons, had Merlin bring the stones to Britain. However, information on what type of technology Atlantis had is found only in the strange clues that litter the world and are constantly being discovered. We don’t know if Atlantis was a carbon based technology such as ours. No information other than a sudden rise in methane levels in the atmosphere found in the ice cores, which could have been released at the time of impact that then radically heated the ancient Earth at that time. Information from the ice cores for our period shows our carbon impact as well as chemicals, pesticides and nuclear material from atmospheric testing. It is not known or possibly undisclosed at this point that a similar profile existed in more ancient ice dating to 12,900 to 12,500 years ago.